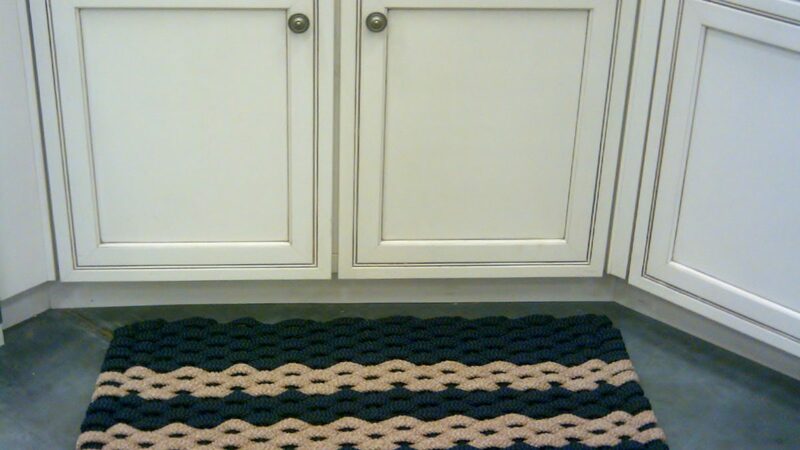 Rockport Rope Kitchen Comfort Mats are made in the USA and are machine washable. Our mats feel like they are massaging your feet while you stand on them. They are very Tough, we guarantee it 5 year replacement guarantee (see website for details). For a normal double sink the 20″ x 38″ mat works perfect. The picture is a 20″ x 34″ mat and it’s just a little short but works just great. 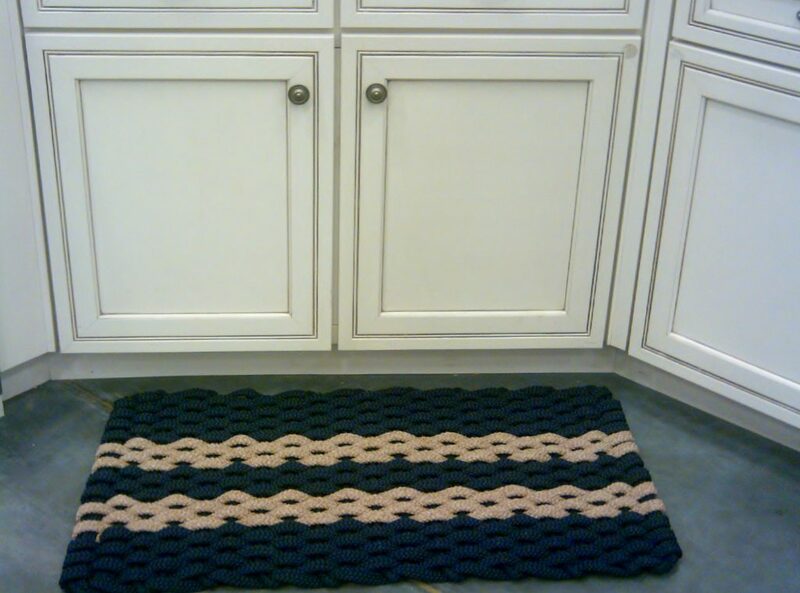 Rockport Rope Mats work great as door mats, bath mats, pet mats, crate mats, porch mats, entry mats, boat mats, RV mats and braided rugs. Anywhere you need a high quality hand woven product to complete the look or add a touch of elegance to your decor they will do the trick. Inside or outside. Rockport Rope Mats are functional and durable with a 5 year guarantee. Tthey will do the job for years to come. Order a Rockport Rope Mat today just click on the picture of the mat you want select options to choose the size to fit your needs and your mat(s) will ship within a couple of days.